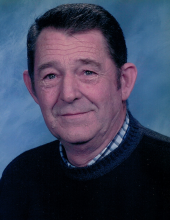 James D. Mattingly (Jimmy), 77, of Cloverport passed away March 19, 2019 at his residence surrounded by his loving family. He was born February 13, 1942 in Balltown, Kentucky to the late James M. Mattingly, and the late Eula Jane Miller Mattingly. He was an Air Force veteran. He and his wife, Barbara owned and operated the Balltown store for 6 years. In addition, he was a mechanic, and a welder who loved to tinker. Some say he was the best lawn mower mechanic around. Jimmy loved to build things and could often be seen heading out to flea markets and yard sales. James is preceded in death by his parents and his sister Doris Jean O’Reilly. Surviving are his loving wife, Barbara; his sons, Mitchell Mattingly of Decatur, Alabama, and Tommy (Faith) Mattingly of Hardinsburg, Kentucky; daughters, Karen (Roy) Brock of Louisville, Kentucky, and Rhonda (Chris) Savoy of Elizabethtown, Kentucky; grandchildren, Rachel (Daniel) Buchanan, J.C. Brock, Alex Mattingly, Reed Mattingly, Hannah Mattingly, Abby Mattingly, Joseph (Lhana) Taul, Gage Savoy, and Zander Savoy; and great-grandchildren, Caleb Mattingly, Sophie Mattingly, and Maleeah Taul. A celebration of Jimmy’s life will be held at the St. Rose Catholic Church in Cloverport, Kentucky at 11:00am cst on Friday, March 22. There will be visitation at the Cloverport Funeral Home from 3:00 – 8:00 pm cst on Thursday, March 21 and from 9:00 am until the funeral service on Friday. A Vigil Prayer service will be held at the Cloverport Funeral Home on Thursday evening at 7:00 pm. Memorial donations can be made to “Pocket Full of Hope” . You may share your thoughts and memories of Jimmy with the family on our website: www.burnsfh.com. To plant a tree in memory of James D. Mattingly, please visit our Tribute Store. "Email Address" would like to share the life celebration of James D. Mattingly. Click on the "link" to go to share a favorite memory or leave a condolence message for the family.